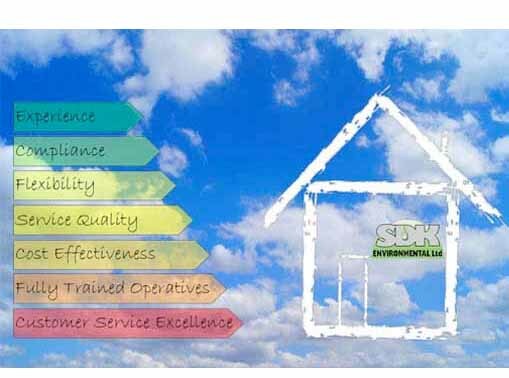 SDK has over twenty years experience partnering with Local Councils and their Housing Departments. We fully appreciate and understand the challenges facing housing associations when properties transfer to their ownership in the modern day. We also understand the concerns that tenants face when pest infestations occur, particularly the more vulnerable and harder-to reach members of our community. As a result of our significant investment in company infrastructure and our journey to obtain Customer Service Excellence Accreditation, SDK can now offer flexible, and tailored, approaches to pest control for housing associations and their tenants using our acknowledged best practice methodologies. No association is too large or too small and we use our experience, training, compliance and numerous accreditations to provide consistently high quality and cost-effective solutions. Our technicians are helpful, friendly, security vetted and undergo extensive training in all aspects of pest control and customer care. They are also experienced at liasing, where necessary, with Housing Officers, Environmental Health Officers and Property Managers. We recognise our duties and responsibilities extend beyond our pest control functions and all staff are trained and adhere to our Customer Charter, Compliance with our Protection of Vulnerable Adults and Children Policy and Valuing Diversity with the need to treat all customers respect and integrity. We would welcome the opportunity to tender or quote for any pest service contract your Association may have. We would be happy to meet with you to outline our service models and how they can contribute to your organisation. We have full confidence in the services we deliver and we would be delighted to consider providing a short term trial to allow our delivery models to be assessed and for a new tender specification to be prepared. This would provide the opportunity to assess the quality of our service model without long-term commitment.